You’re not satisfied with the results you’re getting at work. Your financial rewards don’t match your lifestyle. Your personal and family life is not as satisfying as you desire. Your contribution to your community is not as meaningful as you want. You wonder about your direction. You want more out of life. You want extraordinary success. And at the same time, you want less. You feel bombarded by the many demands of work, personal, and family life. The daily barrage of e-mails, texts, tweets, calls, and meetings frustrate and stress you. You want less of the distractions that keep you from your most important work – the work that leads to success. There’s a way to dramatically increase the odds of your success. A way to achieve extraordinary results. Based on the principle of starting “small,” you align your work with your goals and your life’s purpose. You create a life of no regrets – and live large. 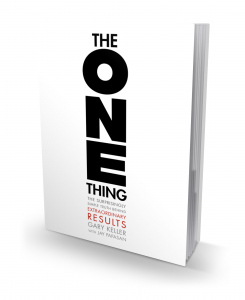 Packed with examples and guidance, this guide teaches you the six lies that block your success, and walks you through the three steps to implement the ONE Thing that delivers extraordinary results. 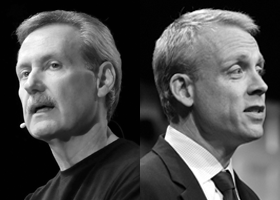 New York Times bestselling author Gary Keller’s books have sold more than 1,000,000 copies. He is Chairman and Co-founder of Keller Williams Realty, Inc., the second largest real estate franchise in the U.S.
Jay Papasan, a former editor at HarperCollins in New York has co-authored Gary’s bestselling books and is Vice President of Publishing at Keller Williams. Gary and Jay live in Austin, Texas.